HOUSTON (KTRK) -- It's official! This year's big 4th of July event near downtown Houston will be all about the country music. 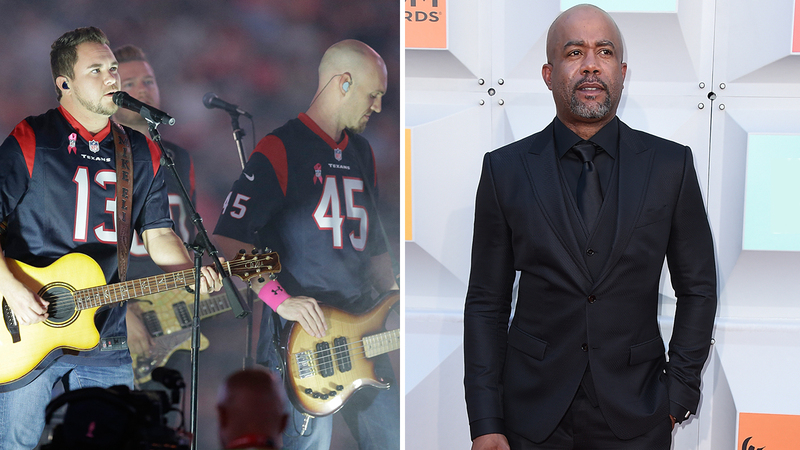 Superstars Darius Rucker and The Eli Young Band will grace the stage this year as headliners for U.S. Family Health Plan's Freedom Over Texas. "The South means a laid-back lifestyle, beaches, family, and being able to have a good time when you want to," says Darius Rucker. "In Charleston, where I'm from, nobody's in a rush to get anywhere. And there's a mentality that there's room for everybody. "So with these songs, I wanted to bring out the way I live, the way my friends live, and all the things that are important to us." Eli Young Band is an American country music band composed of members who met while students at the University of North Texas in Denton, Texas: Mike Eli, James Young, Jon Jones, and Chris Thompson. They released their self-titled debut album in 2002, followed by the Carnival records release Level in 2005. Their third album, Jet Black & Jealous, was released in 2008 by Universal South Records. A second major-label album, Life at Best, was released in 2011 by Republic Nashville, with 10,000 Towns following in early 2014. The band has charted eight times on the Billboard country charts, with three of their singles having reached number 1: "Crazy Girl", which was the top country song of 2011 according to Billboard Year-End, along with "Even If It Breaks Your Heart" and "Drunk Last Night". ABC-13 is the exclusive television partner of this event and will be broadcasting the concert and fireworks live on July 4th from 7-10pm.